Who knew macaroons could do so much good? When I was contacted by Miss Macaroon I was intrigued by the idea of how such a delicate, beautiful treat could help to change lives – but that is exactly the ethos behind it. Having trained to become a Pastry Chef at University College Birmingham and Purnell’s Restaurant, one of Birmingham’s four Michelin starred establishments, Rosie wanted to make the highly competitive catering industry in Birmingham more accessible to marginalised young people from deprived areas of the city. 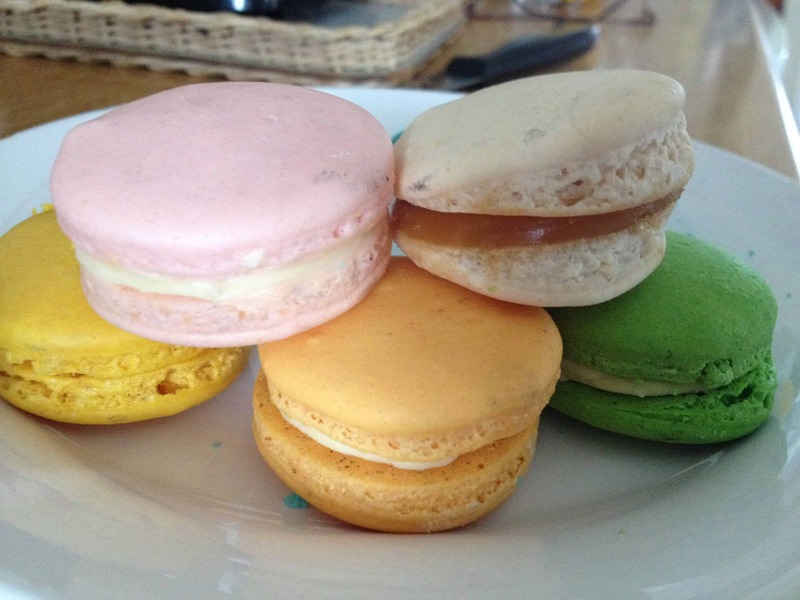 Miss Macaroon has run Macaroons that make a difference programmes to address barriers to employment faced by young Care leavers and young ex-offenders through baking French macaroons. What an awesome idea. The company offers a variety of services, from small tasting boxes to corporate catering, so when they contacted me and asked if I wanted to try some of their goodies, I couldn’t say no! I have always wanted to try macaroons and never had the chance to. Made with almonds, these delicate sweet bites come in a variety of flavours and they just look so appetising. I think they would be amazing at children’s parties with their bright colours and sugary texture, and I couldn’t wait to get stuck in. I have to admit, as usual, these didn’t last long! Determined not to ruin my diet, I shared these with Steve, my mum and my aunt, and we all had a very fun five minutes devouring the lot over a cuppa! The tonka bean (blue) had a subtle vanilla flavour – my favourite was the salted caramel which had a delicious caramel filling which I couldn’t get enough of! The rhubarb one was nice too (though I mistook this thinking it was strawberry!) and the madarin one had a nice tang to it. My aunt’s favourite was the mango with the coconut filling, while Steve preferred the nutty pistachio flavour. It was fun to pass them around and try a nibble of each! 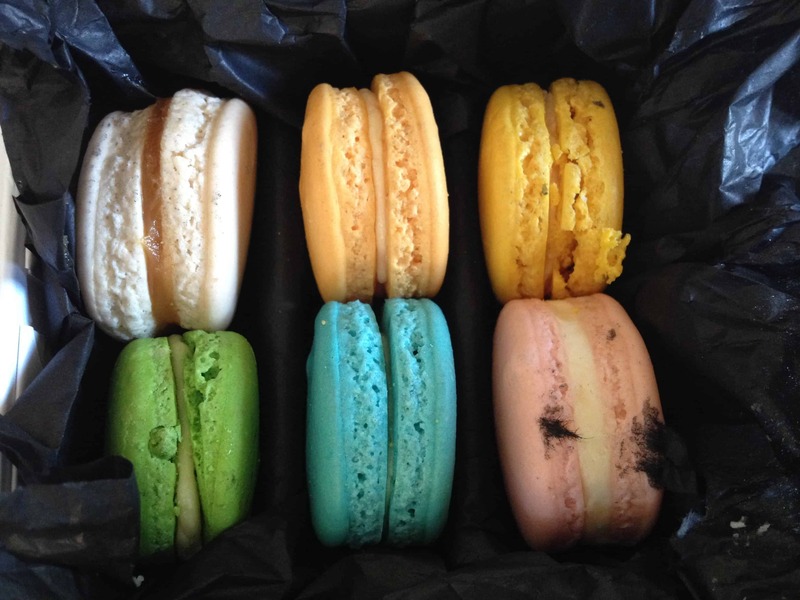 While there was a subtle undertone to each macaroon which told them apart, they weren’t bursting with flavours and all had the same, sugary taste to them. They did however make me feel awfully refined while indulging in them and for pure aesthetic reasons I would love to have a whole table of them at a party! I don’t think you can go wrong with macaroons really – and the fact that these ones have some ethics behind them just makes them even more appealing! You can find out more about Miss Macaroon on their website. My absolute favourites and gluten free! Excellent!